Great Little Grains and the Sown & Grown brand are here to ask ‘why not?’ and take it upon themselves to think different and against the norm. Through this thinking and carefully crafted in the heart of the English countryside this dedicated team have created various exciting flavours of mueslis and granolas just for you. 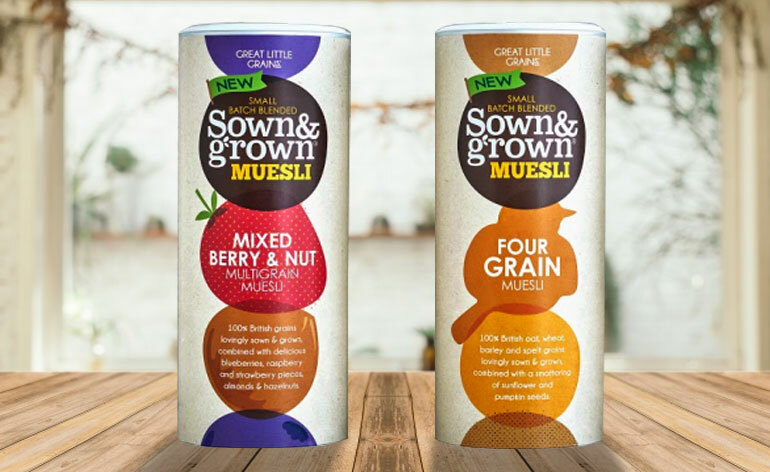 Today we review their Mixed Berry and Nut Multigrain Muesli as well as their Four Grain Muesli, so let’s get stuck in! Mixed Berry and Nut – Oat Flakes (39%), Toasted Wheat Flakes (Wheat, Malt Extract), Raspberry Flavoured Barley Flakes (Barley Flakes, Sugar, Sunflower Oil, Natural Flavouring, Fruit and Vegetable Extracts (Blackcurrants, Carrots), Rye Flakes, Spelt (Wheat), Sultana’s (2.5%), Freeze Dried Berries (2%) (Blueberries, Raspberry Pieces, Strawberry Pieces), Flaked Almonds (1.5%), Flaked Brazil Nuts (1%), Chopped Hazelnuts (1%). Four Grain – Oat Flakes (40%), Wheat Flakes (20%), Barley Flakes (17%), Toasted Wheat Flakes (Wheat, Malt Extract) (11%), Spelt (Wheat) (5%), Sunflower Seeds (4%), Pumpkin Seeds (3%). Nutrition: Both products have many nutritional advantages with both being suitable for vegetarians and are made from 100% British grains. It doesn’t end there though! they are low in saturated fat and also contain wholegrain. Mixed Berry and Nut – Everyone knows that some muesli can be extremely bland and lack a lot of flavour but I’m happy to say that is certainly not the case with this one! I really enjoyed the nutty taste from the almonds and the hazelnuts mixed with the sweetness from the dried berries. I could taste each different berry and it wasn’t overpowered by the oats or nuts. The occasional sultana also added another texture to the muesli, in a cereal which would give you a solid start to every day. Four Grain – This cereal was recognised as the best cereal at the 2016 Healthy Food Guide awards and you can see why! It has a smooth, pleasant taste which isn’t too chewy, a real positive as I find some muesli can be hard work on the jaws. The sunflower and pumpkin seeds add an extra dimension to the taste experience making this a very enjoyable cereal. Value: You’re getting premium products here and the price does reflect this compared to other muesli. They range between £2.65 and £3.95. Although they have high nutritional values as well as a scrumptious taste, I also like the design of the packaging and how it’s recyclable, reusable and airtight. This is smart because when you’re finished with the cereal; you could store biscuits, veggie crisps, dried pulses etc. Summary: Overall these products are delicious, wholesome and satisfyingly stacked with flavour. Why not try out these quality cereals from Great Little Grains for yourself. They’re now available in the cereal shelves at Sainsbury’s. While you’re here, do check out their website, Facebook and Twitter pages too! 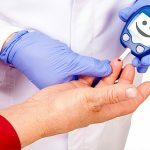 5 Top Diabetes Management Tips!